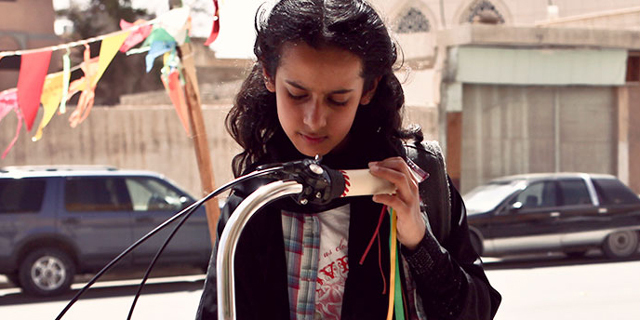 Wadjda is a fun-loving ten year old girl who is determined to own her own bicycle and even uses her school’s Koran recitation competition as a means to get the money. Wadjda is so great because she is so relatable. She is just like any other young girl but she lives in Saudi Arabia so there’s restrictions put on her because she’s a girl. Wadjda doesn’t let these restrictions get her down though, she works hard raising the money for her bicycle and borrows her friend’s bike to learn how to ride in secret. She forges her own path and is constantly rebelling the strict rules put on her by society and by her school – she wears Chuck Taylors under her abaya and can’t help but talk back to teachers. Wadjda is an enterprising young woman and I love her relationship with her mother who doesn’t always like the fact that Wadjda is so independent but she still loves her. Their relationship has its problems but it’s easy to see how much Wadjda loves her mother. Wadjda is a child who wants to do her own thing but deep down she knows she won’t always be allowed to, that doesn’t stop her trying though and that is admirable. You can read my review of Wadjda here.